Gtmhub can connect to over 150 business systems. 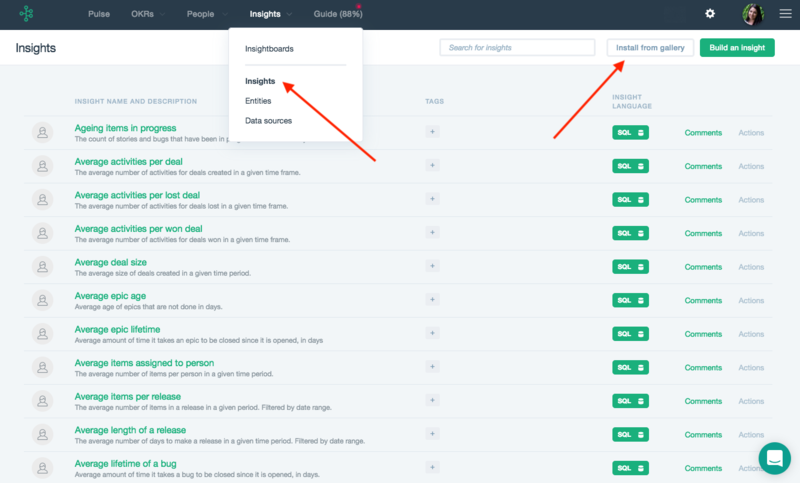 For the most popular, we also ship ready Insights which you can install with few clicks. Gtmhub can connect to over 150 business systems. 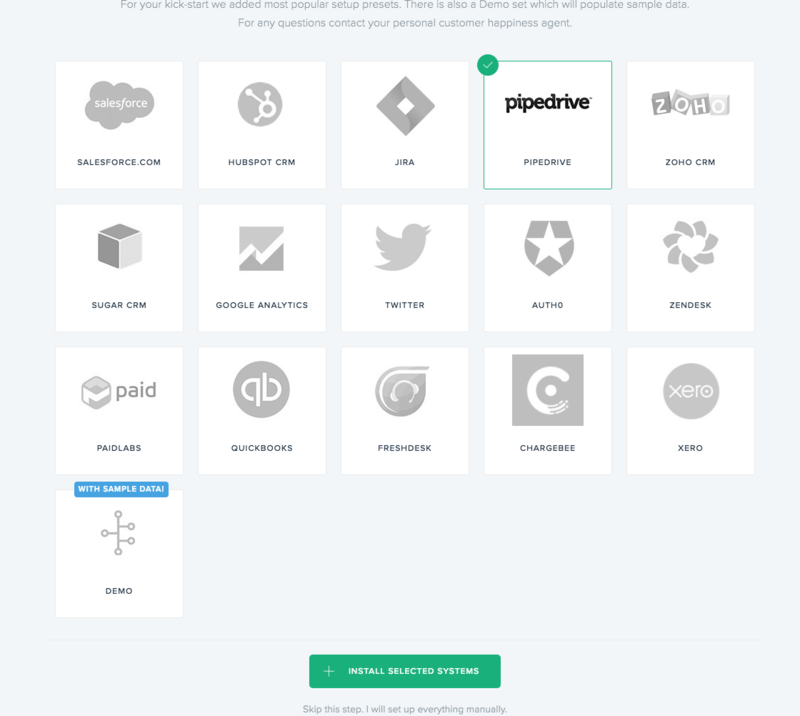 For the most popular systems, we also ship ready Insights which you can install with few clicks. 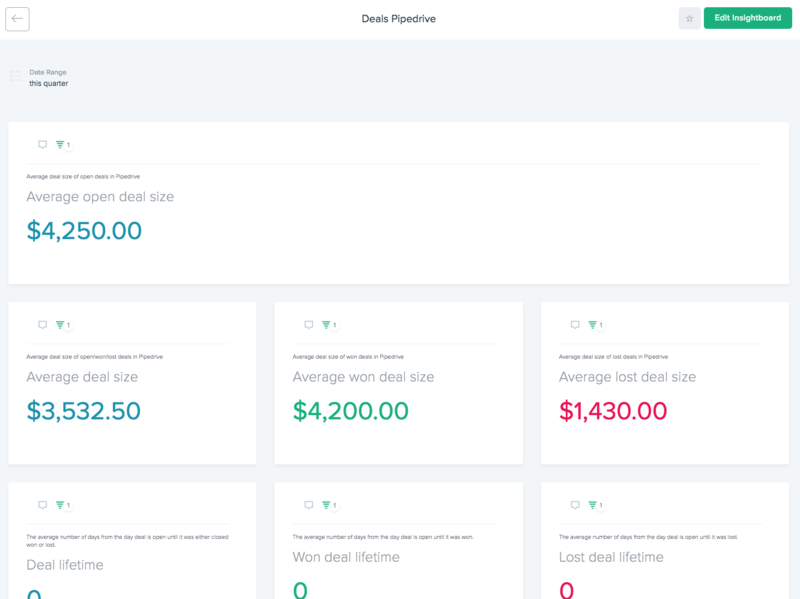 The insights are grouped by systems, like HubSpot or QuickBooks. Once you install the Insights you can use them in your OKRs right away. To be able to install Insights, you will need to have permissions to access Setup > Insights section. From this point on, you can modify the dashboards or insights.